Gold is one of the most precious materials on Earth. Besides its attractive appearance, owning gold can create stability for those shaken by an unstable economy. 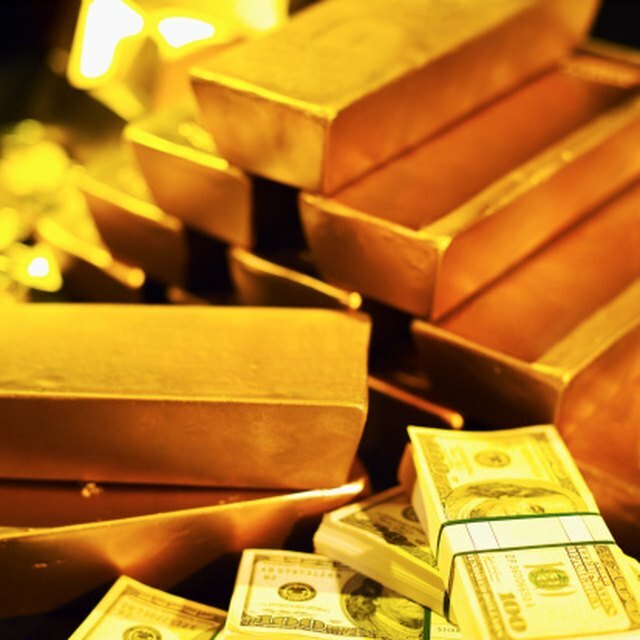 History has proven that gold, unlike the U.S. dollar, remains at a stable value. It is wise to keep an investment in gold, which can rise in value in a number of years. Stocks involve purchasing a share in a publicly traded company. Stocks for gold are sold through mining companies. This is more of an indirect approach of owning gold because you will not physically have the gold. In fact, you invest in that mining company, hoping the gold it mines will create a profit for the company. Profit for the company creates profit for you. The company can offer dividends to you, which can become a reliable source of extra income. You can also sell your stock in the company when you feel the need to do so. Like all stocks, gold stocks are volatile. If the price of gold declines, that can result in a negative profit for the company. As a result, you can receive a loss rather than a gain on your investment. Unlike oil, gold in the form of bullion and coins can be physically kept. Bullion bars typically come in weights as low as one ounce or as high as 100 ounces. You can buy these forms of gold from an authorized dealer, brokerage or in some cases a bank. Many scams exist in this industry, so do substantial research on the company you plan to buy from. Understand its terms and regulations. When it comes to storing your bullion and coins, you can choose to keep them in a safe-deposit box or your house. There are also companies that can keep your precious investment to protect them from possible theft or damage. If you are not concerned with physically owning gold, but are worried about the authenticity of your investment, try investing in exchange traded funds (ETF). These funds are similar to stocks in the way they are traded, but you are not investing in a company. You are only investing in gold and tracking it through a computer system, in which you can buy and sell shares of gold. The fees for trading in the ETF marketplace is relatively low. However, you will most likely have to pay a commission to your broker. Examples of some ETFs are streetTRACKS, Gold Shares and iShares COMEX Gold Trust.